« Is it the Art or the Artist? After her adventures with the necromancer in Istanbul, Nadira, now a necromancer herself and the new High Priestess of Elysium, sets out on a journey with her companions to Persia to meet with a mysterious power that dwells in the mountains of Arborz. 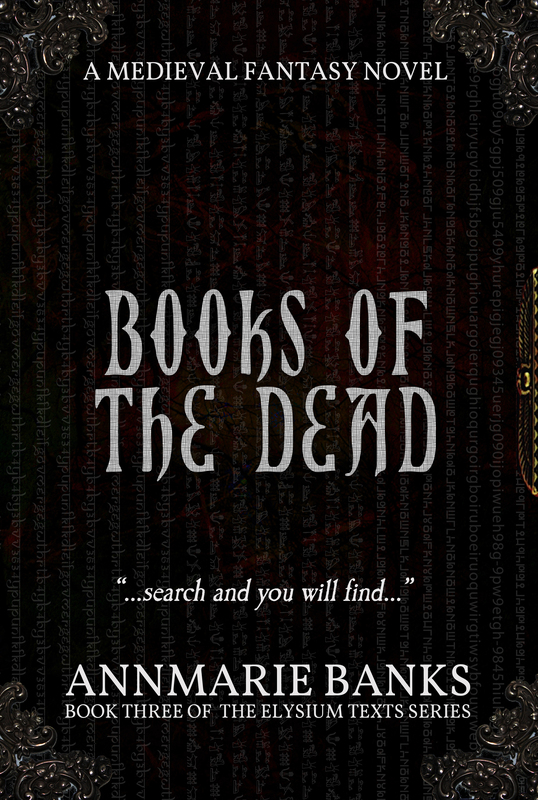 She intends to learn the secrets of Zoroaster and claim for herself the power over the realms of the dead. She and her companions meet up with the secret remnants of the Nizari Ismaili Assassins and the Sufi mystics who present Nadira with the books of the dead to take back to Eleusis. She hopes these books contain what she needs to be able to stop the European powers from igniting a new crusade to retake Istanbul and Jerusalem from the Turks. Nadira enlists the aid of the Turkish captain Kemal Reis and his nephew, Piri, on an adventure from the high mountains of Persia to the rough seas of the Mediterranean. The battle for the souls of Europe and Asia involve more than just priests and imams, kings and caliphs. To stop the slaughter Nadira must use her power over minds and flesh as well as her quick thinking and courage to bring all the elements together to eradicate the idea of a holy crusade from the minds of the powerful men who rule their world. Her abilities grow with practice and experience, but what she learns muddies the distinction between good and evil. As she becomes more powerful, she begins to lose what it means to be human and starts to take on the guise of a goddess. Her companions wonder if she is becoming an angel of mercy, or a frightening reaper of souls. I have always read historical fiction. When I was a child I associated fiction with times and places far removed from my current suburban routine, from the Little House books to the Great Brain series. As I grew up my fiction continued to be historical. I graduated to the Bronte sisters and Jane Austen. As a teenager I read the Mists of Avalon, which crossed me over from history to fantasy and I took a side path into science fiction as a teen. As an adult I became interested in the actual history, and my reading took me all over the world in all times while I enjoyed learning about what people did when it was not the twentieth century. I chose the late medieval period for my story about books and knowledge because of the richness of the background of the times. The Turks had just captured Constantinople, and the city’s fleeing scholars flooded Europe with the ancient manuscripts they carried away from the carnage. My characters are hunting these books and scrolls. Perfect timing. I try to draw the reader into the past with those details they share with the characters, rather than go out of my way to describe the differences. When Nadira is hungry, I hope the reader feels a little urge to go to the fridge. When she is cold, I hope the reader tucks her feet under her on that comfy sofa and pulls her sweater around her shoulders. When Montrose bends down to kiss Nadira, I hope the reader feels the rough stubble on his chin. I know I do. Here comes that charging horse. Get ready.